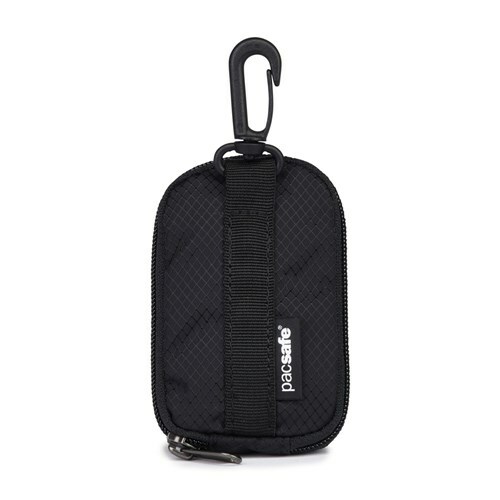 The Pacsafe Water Bottle Pouch is a small pouch that comes with full round zip. The pouch expands into a large mesh water bottle pocket. It is a handy attachment that can be fixed to almost any bag. The compact design keeps it unobtrusive when not in use. When needed, simply unzip, unfurl and slide your water bottle in the mesh pocket. So keep yourself agile and hydrated with this packable water-bottle pouch. The Pacsafe Packable Water Bottle Pouch - Black has many exciting features for users of all types. 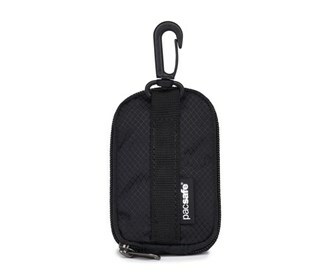 The Pacsafe Packable Water Bottle Pouch - Black is sold as a Brand New Unopened Item.